Previously known as Mission Dorado, The Links Course is now part of Odessa CC and is a difficult, 18-hole championship layout. This is a links-style course perfectly suited to the West Texas winds. John Bredemus built this course in the late 1930s, and his design makes the most of the flat West Texas terrain. This is an old-school golf course with tree-lined fairways and undulating bent-grass greens. 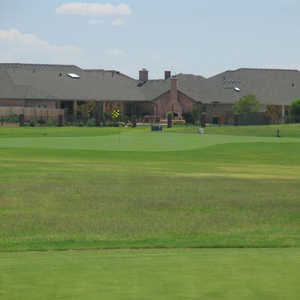 The 9-hole Par-3 Course at Sunset Country Club in Odessa, TX is a semi-private golf course that opened in 1954. Par-3 Course at Sunset Country Club measures 1100 yards from the longest tees and has a slope rating of 110 and a 35 USGA rating. In 1988 Jeff Brauer, who has since become a nationally renowned architect, sculpted this West Texas wasteland into a links-style course reminiscent of the great courses over seas. The flat terrain has been modified with mounding and features plush fairways surrounded by large, immaculate bent-grass green and extreme rough. Not every facility is of championship caliber, but others still serve a purpose in fulfilling the needs of the golfing public. Sunset is a semi-private facility that features a regulation 18-hole course, as well as a 9-hole par 3 course with holes ranging from 50 to 165 yards.